Red, White, Rosé, Sparling and Sweet. A world of wine in all types and all colours. Loire Valley produces a great deal of excellent white wine but this is not to say that you cannot find great red wine in the Loire; you just have to know where to look. 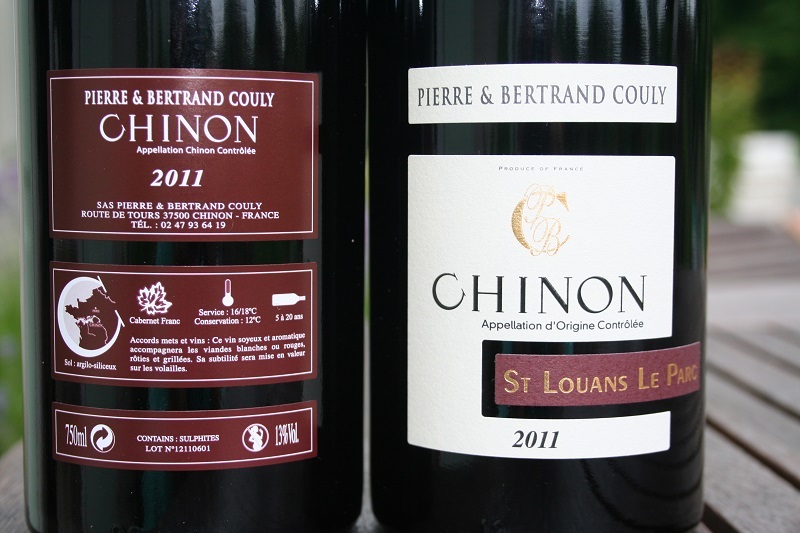 Arguably the best Loire reds are produced from Cabernet Franc grapes in the famous appellations of Bourgueil, Chinon, St. Nicolas de Bourgueil and Saumur-Champigny. These appellations border the Loire river and, in the case of Chinon, the Vienne, and are protected from cold north and east winds by large areas of forest. Located west of Tours, they are on limestone, clay or sandy soils and in a climatic zone influenced by the Atlantic Ocean. All these things combined give warmer average temperatures than in the rest of the Touraine, greatly helping ripening. While Saumur-Champigny is fashionable, Bourgueil can be the beefiest, longest-living Loire red of all, while the lighter St-Nicolas de Bourgueil is rarely seen outside the region. Chinons can often be aged for decades and an old Chinon is a rare pleasure. Other red grape varieties are cultivated in the Loire Valley, including Pinot Noir, Malbec (called Côt here) and Gamay. Very little Cabernet Sauvignon is grown as it struggles to ripen in this northerly climate. Bourgueil, Chinon, St. Nicolas de Bourgueil and Saumur-Champigny have already been noted, but throughout the Touraine excellent reds are produced, often a blend of varieties as in Touraine-Chenonceaux where malbec/cabernet franc blends dominate. Towards Burgundy in the east, Pinot Noir is the major red variety and those of Sancerre, aged with or without oak, can be very fine indeed. World class white wines are produced throughout the length of the Loire Valley but differ according to grape variety, soil type and region. In the far west, by the estuary on the Atlantic, dry whites are produced on granite and schist soils using Melon de Bourgogne and Folle Blanche grapes. Moving up river Chenin Blanc – also known as Pineau de la Loire - takes over, while the east, especially along the banks of the river Cher, is Sauvignon Blanc country. Other white grapes include Chardonnay, typically zesty and unoaked and most often used in blends, Pinot Gris and the rare Romorantin, which is indigenous to the Loire and found only in AOC Cour-Cheverny. Most regions of the Loire Valley produce white wine but some stand out as being amongst the best in the world. Sancerre and Pouilly-Fumé produce Sauvignon Blanc wines which, at their best, are of remarkable quality. 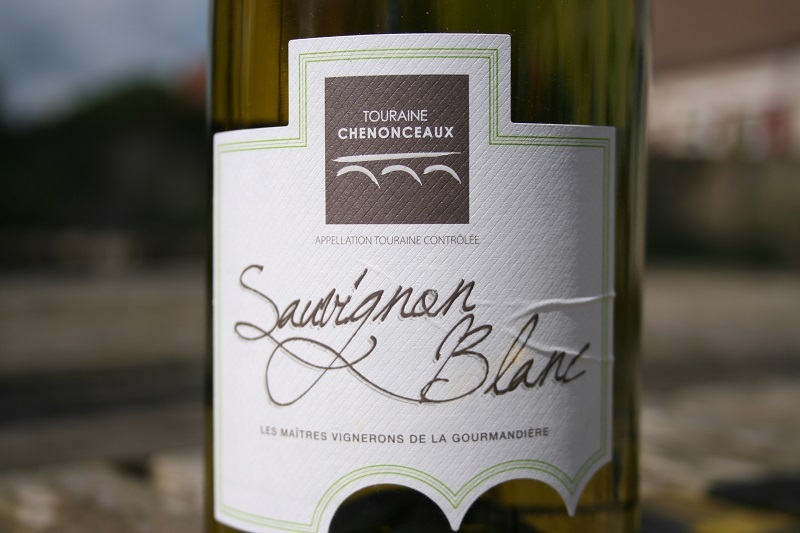 The same variety is used in Reuilly, Quincy, Menetou-Salon and several Touraine appellations, regularly winning awards for their fresh, dry whites. Around the city of Tours Chenin Blanc comes into its own, with the wines of Vouvray and Montlouis sur Loire being particularly appreciated. Chenin Blanc continues down the Loire, through Savennières towards Angers. Muscadet de Sèvre-et-Maine and Muscadet sur lie are best drunk young and fresh with oysters and sea food. Rosé wine can be produced in one of two ways: by maceration using the Saignée (Bled) Method, or by pressing lightly to produce coloured juice. A third way – the blending of red and white wines – is used for sparkling wine, where a tiny proportion of Pinot Noir or other red wine is added to white Chenin or Chardonnay to produce sparkling rosé. Maceration involves leaving red wine grapes to rest, or macerate, in the vat for a short period of time and afterward the lightly coloured juice is bled off to be finished into a rosé wine. The remainder continues on the red winemaking process. The bleeding off of some of the juice not only produces a lovely rosé, but it also concentrates the red wines’ intensity. 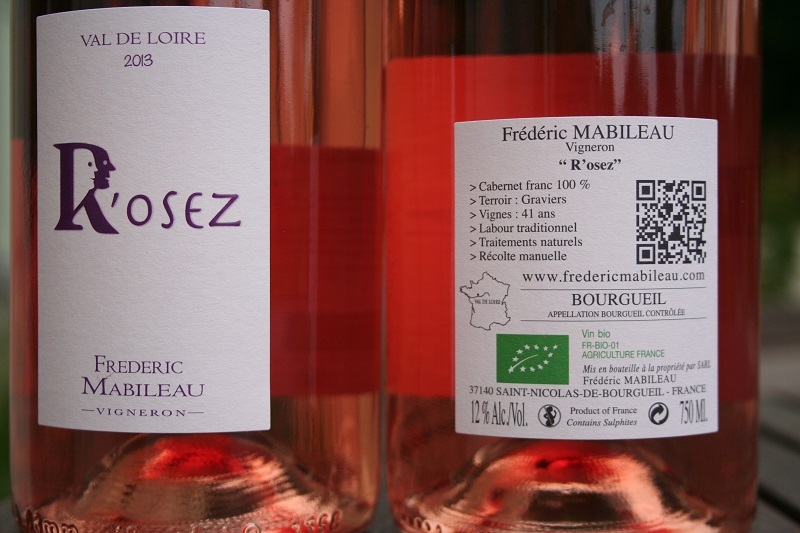 Rosé de Press is made by vinifying the juice from pressed red grapes. Rosé wines regularly go in and out of fashion but can be excellent with light foods or drunk on its own. It is the archetypal summer drink. Colour can vary tremendously and the taste depends on the red grape varieties used in its production. Needless to say, the Loire produces excellent rosé wines and rosé sales are now outstripping those of white wine. AOC Touraine-Noble-Joué is a tiny appellation located between the Cher and the Indre rivers, producing only rosé wine from Pinot Noir, Pinot Meunier and Pinot Gris grapes. The Touraine produces other fine rosé wines and AOC Chinon rosé is a personal favourite. Anjou, the name of the region around the city of Angers, is associated with the often grimly sweet commercial Rosé d'Anjou as well as the extraordinarily long-lived, fine pink Cabernet d'Anjou. Sparkling wines are made in the Loire Valley in much the same way as in Champagne, involving a secondary fermentation in the bottle and the removal of yeast by Disgorgement, (or dégorgement). Wines will be aged “sur lies” stacked on their sides in limestone caves throughout the region. In the Loire Valley the principle grape used for sparkling wine is the Chenin Blanc, with its decidedly un-champagne-like flavours and fantastically low prices. Other grapes used in some appellations include Chardonnay and Sauvignon Blanc while red grape varieties such as Pinot Noir may be used to create rosé. In the west, Saumur stands out with many Champagne houses having outposts here. 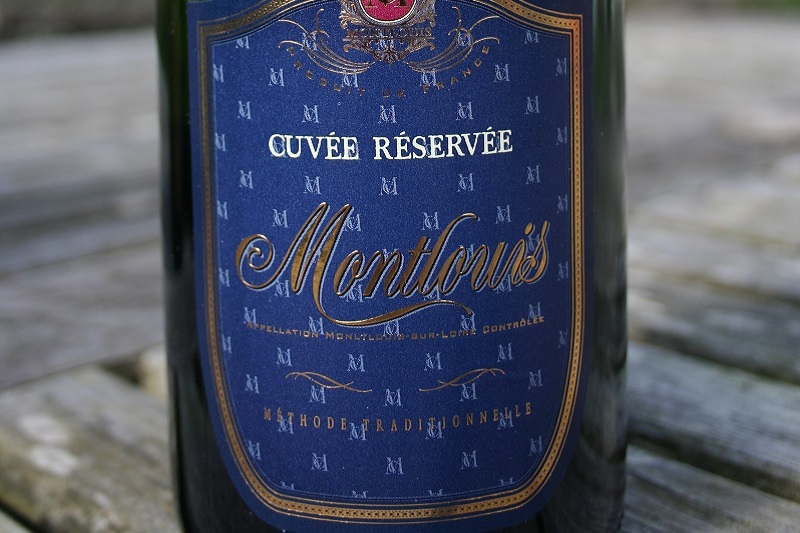 In the middle Loire, Vouvray and it’s little sister across the river, Montlouis sur Loire, are also famous for producing sparkling wine of high quality. The Touraine appellations often feature sparkling wine while the reputation of the more rigorously made Crémant de Loire is well established. Sweet wines are the result of the concentration of natural sugars in the grapes during a good, sunny summer and autumn. Several appellations of the Loire are famous for them. Chenin Blanc is the grape mostly used, but Sauvignon Blanc can also produce interesting sweet wines in warm years. The degree of sweetness varies according to the amount of residual sugar remaining in the wine and a complete range can be found. These moelleux and liquoreux wines can last in the bottle for decades. In the Angou region, Coteaux de l'Aubance, Coteaux du Layon and, especially, the particularly well-favoured enclaves Chaume, Quarts de Chaume and Bonnezeaux within it, can produce great, honeyed, long-living sweet white wines to rival some of the best in the world. 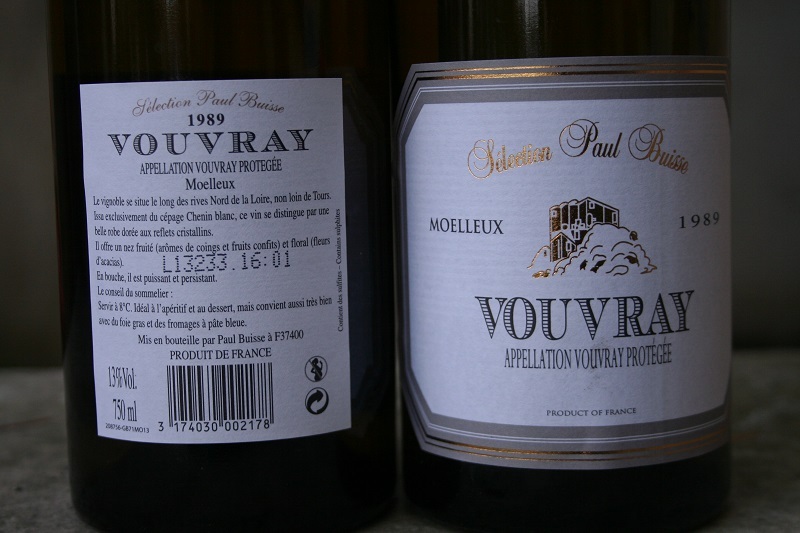 Vouvray and Montlouise sur Loire, often considered the home of Chenin Blanc, also produce world class sweet wines which couple low alcohol with naturally high acidity levels. Clients who claim not to enjoy sweet wines are often converted by these exquisite examples. The Loire Valley produces wine in a wide range of colours and styles. Our tours give you a unique opportunity to taste these wines, look at the production facilities and often meet the owners. As enthusiasts ourselves, we make a point of seeking out the best.